ONE OF THE PREMIER LOTS in the gate-guarded community of Superstition Mountain Golf and Country Club. 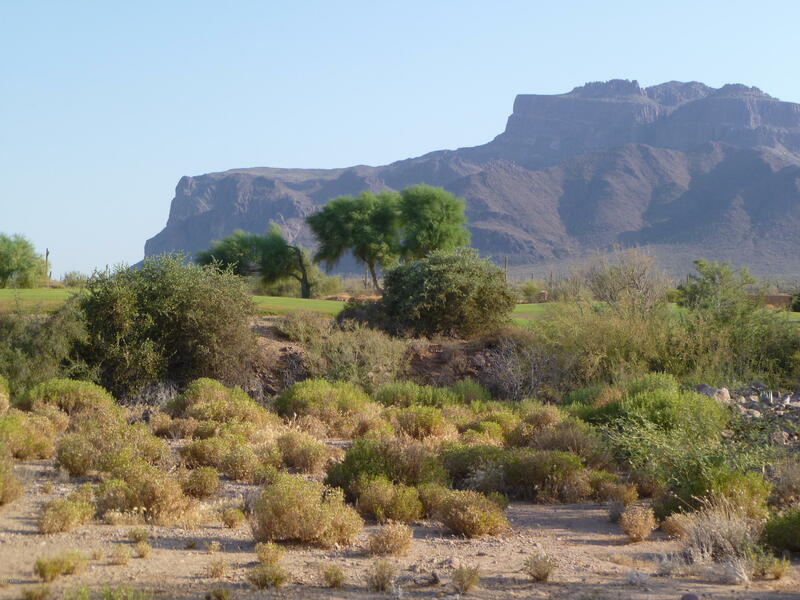 Huge 0.9 acre flat lot bordering the 16th fairway of the Lost Gold Golf Course with panoramic views of the Superstition Mountains. The building requirement in Canyon View is a minimum 3500 sq ft and there is no time requirement in which to build. This is a must see! Come and enjoy the beauty and serenity of Superstition Mountain.